If there is one main driving force pushing 5G networks for mobile communications toward commercial reality, it is most likely the need for more radio spectrum. To attain that increased spectrum, 5G networks will use the millimeter-wave spectrum—the radio spectrum above 6 gigahertz. While that certainly broadens the number of frequencies to which these networks have access, it comes at the price of signals not navigating through buildings or other obstacles very effectively. Overcoming this shortcoming is the job of one of the key enabling technologies for 5G networks: directional phased-array antennas. In short, they electronically steer radio waves in a desired direction. Traditionally, phased-array antennas operate by creating phase shifting in the radio frequency (RF) path to steer beams in a particular direction. Unfortunately, the RF phase shifter degrades signal quality. Tokyo Institute of Technology, believe that this new approach will lead to large-scale phased-array transceivers capable of increasing communication distance, data rate, and network capacity. The radio freqency printed circuit board that is inside the transceiver. The team presented its work last week at the IEEE Radio Frequency Integrated Circuits Symposium 2018. To create their 28-GHz transceiver with its local oscillator phase shifting approach, they designed a circuit that allows the transceiver to shift the phase of the local oscillator in very small steps. 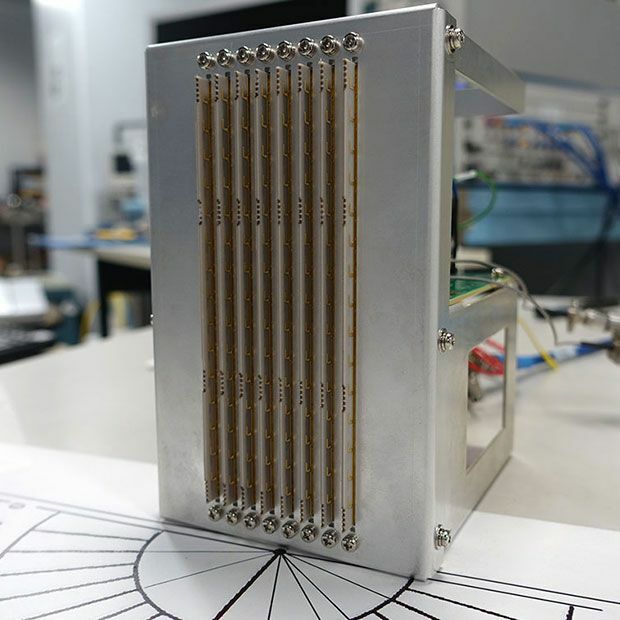 This produces an antenna array that can be made to point towards the desired direction with a precision an order of magnitude more accurate than previous designs, according to the researchers. A photo of the 28-GHz transceiver fabricated by the researchers. In future research, Okada and his team will be looking beyond 5G. He explains that today’s wireless communication is based on omnidirectional radiation (the radio wave is radiated in all directions). Now he is looking at multi-directional communication. In this new paradigm, the radio wave is transmitted like a laser beam, and can be directed towards any arbitrary direction instantly. The beam can also be split and delivered to multiple target objects at the same time artificially and intelligently.